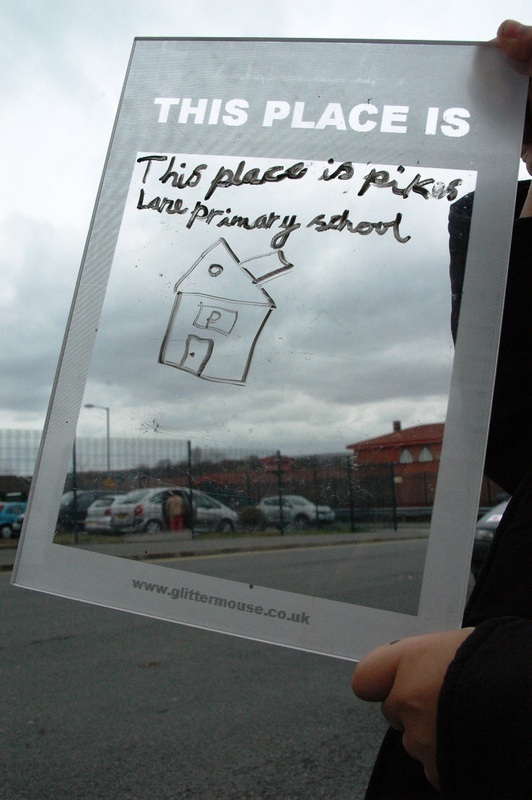 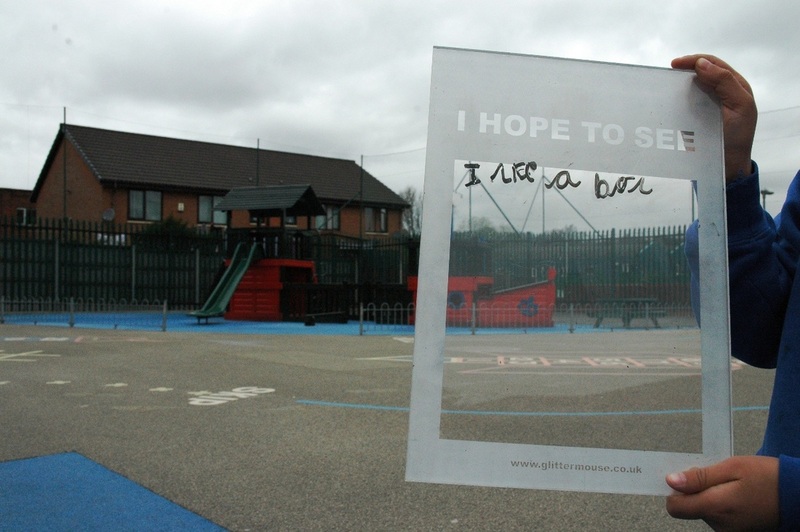 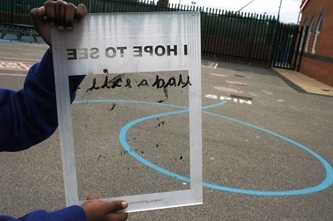 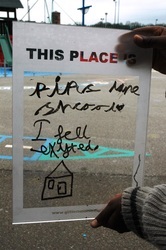 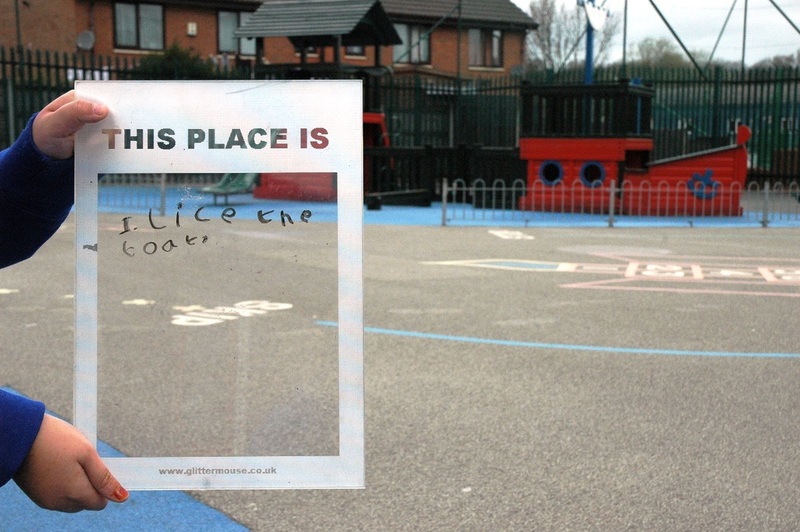 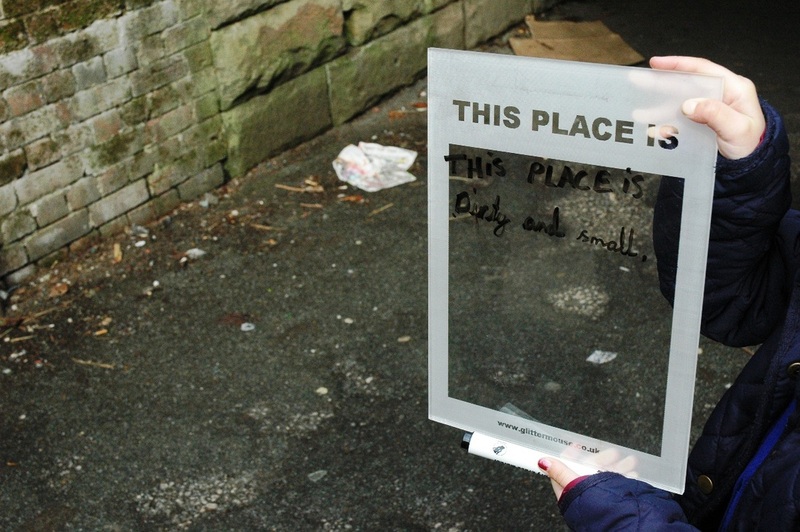 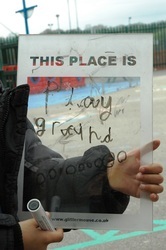 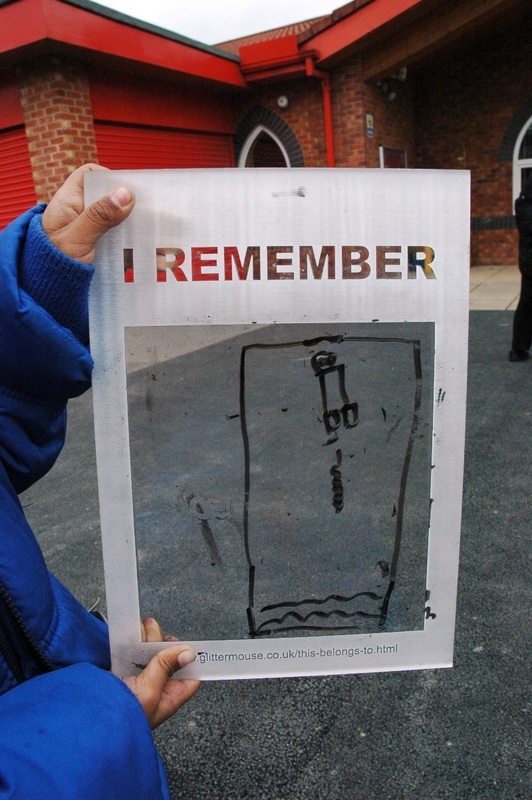 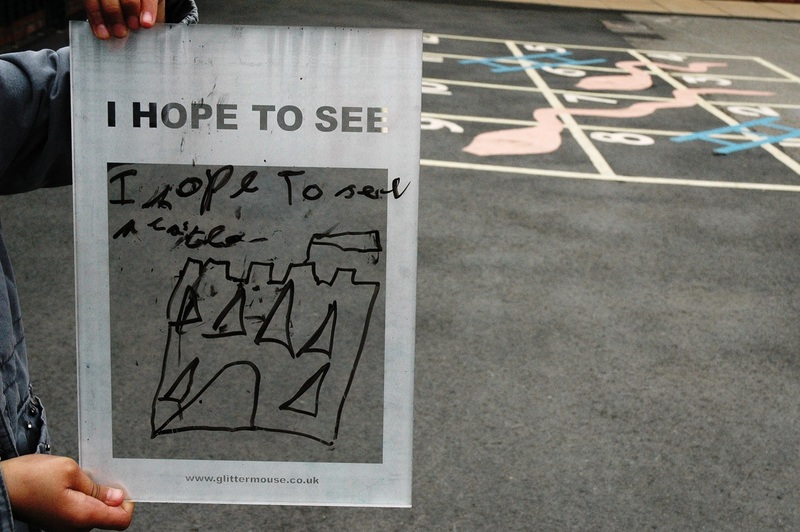 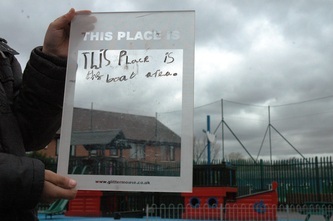 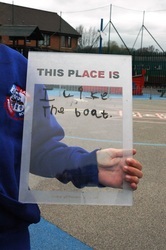 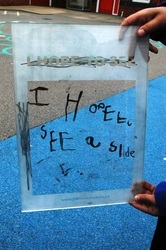 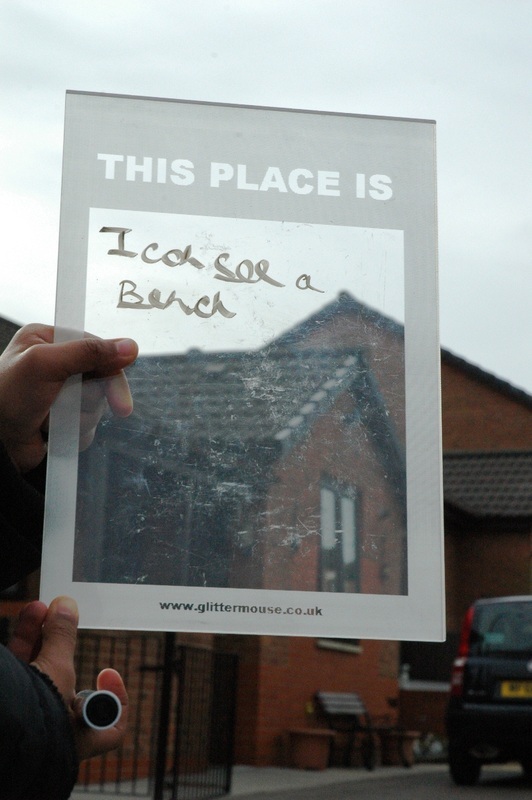 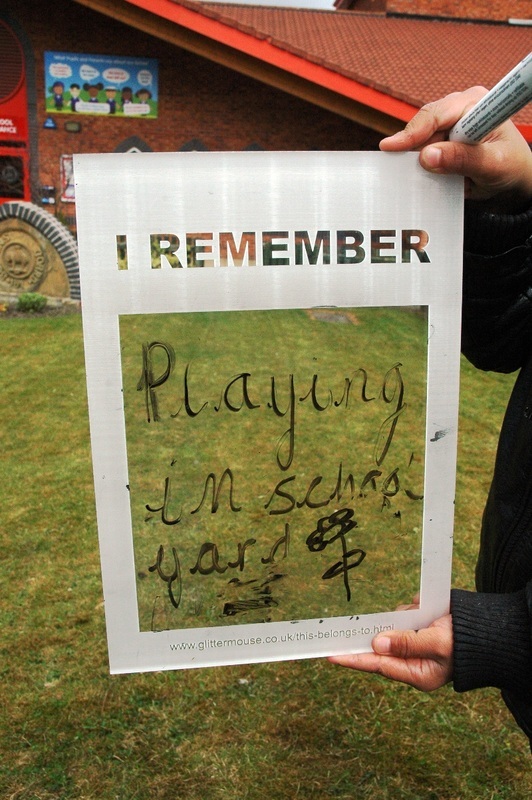 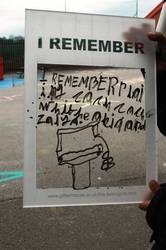 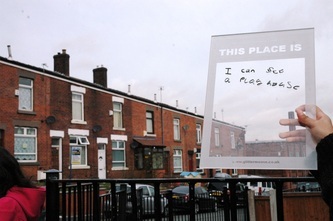 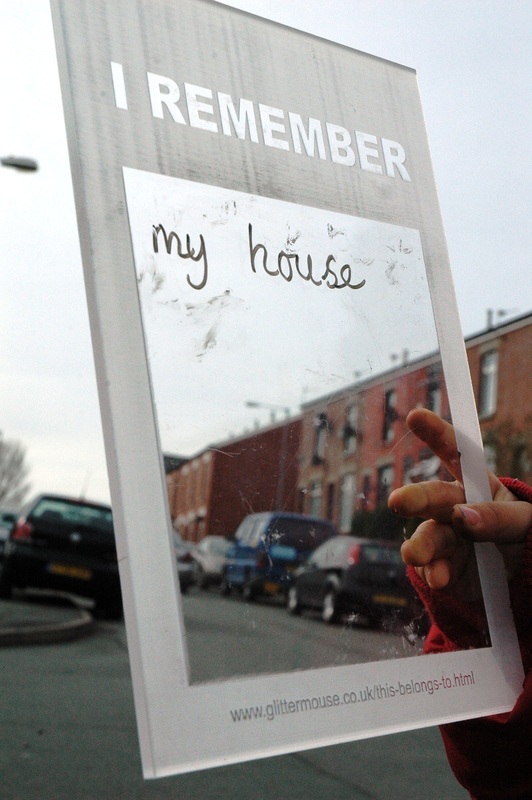 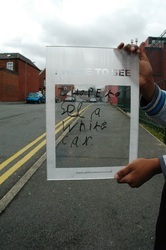 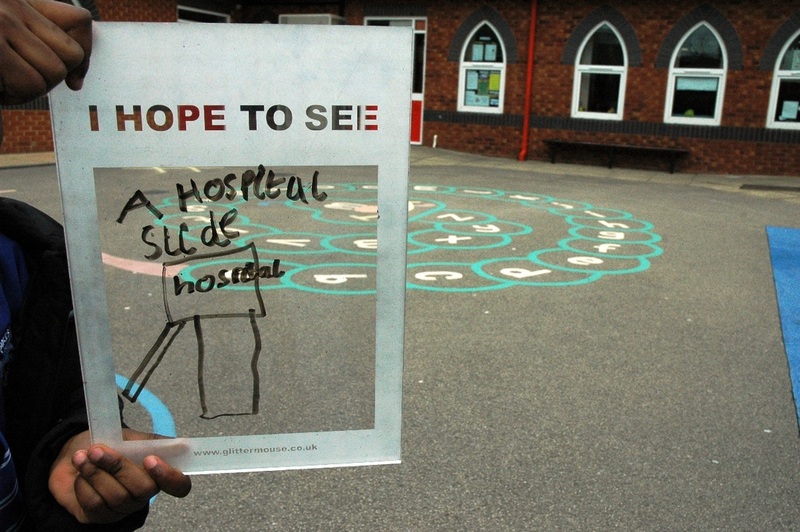 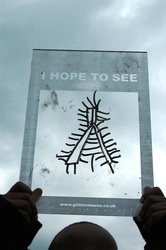 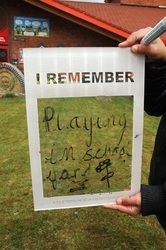 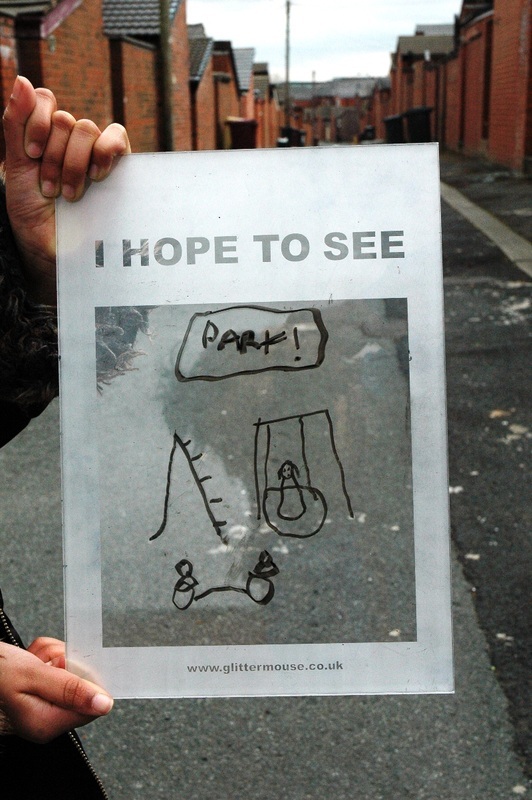 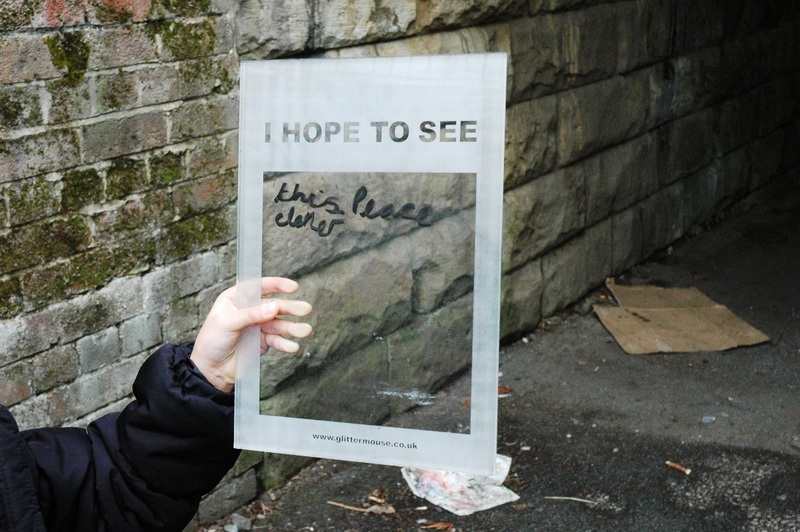 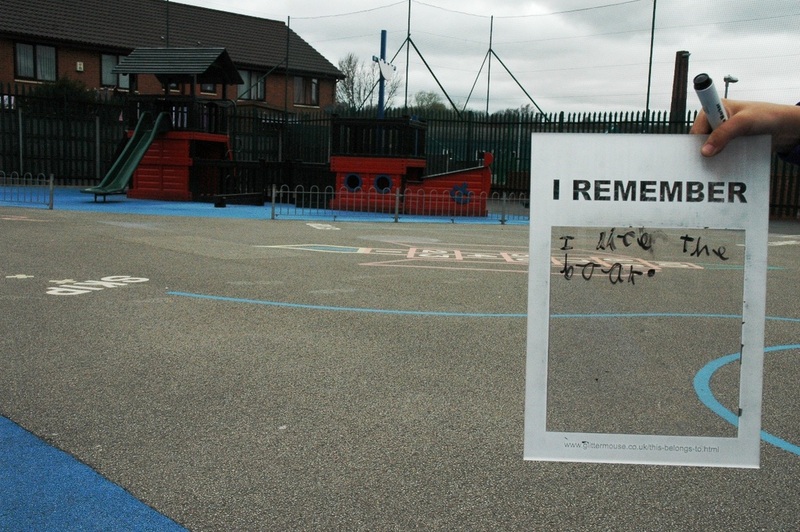 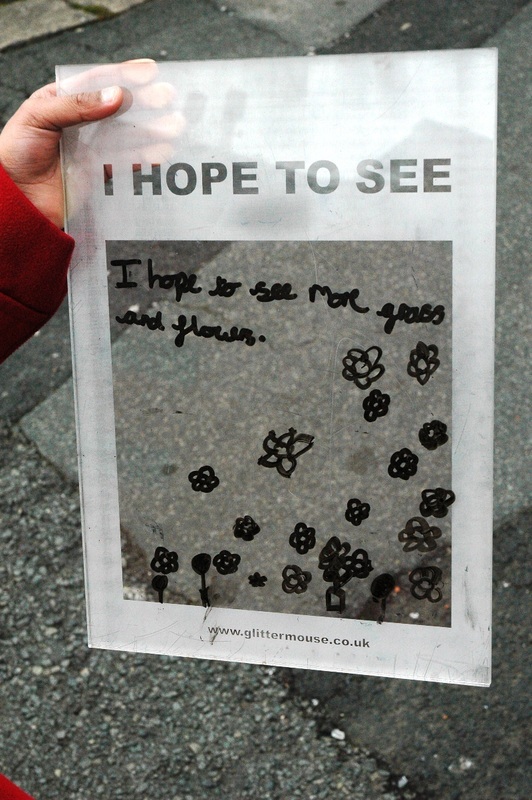 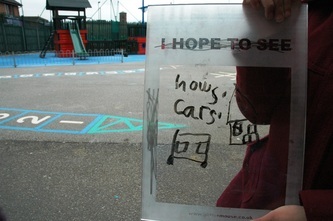 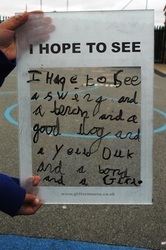 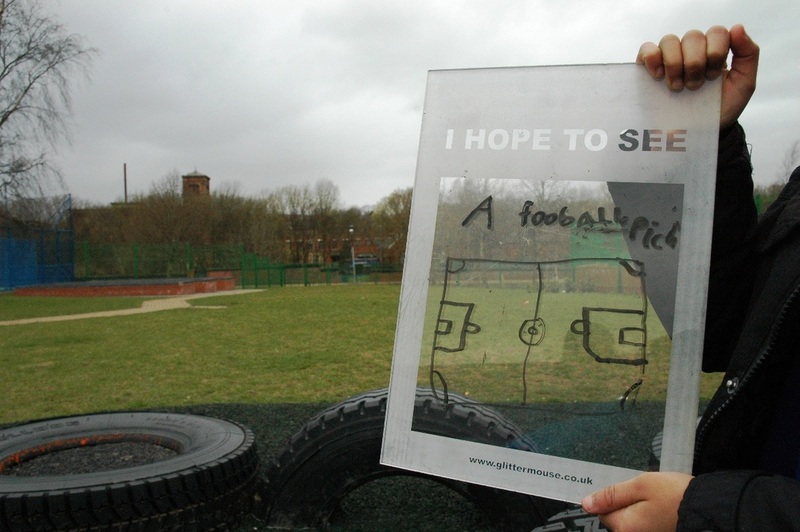 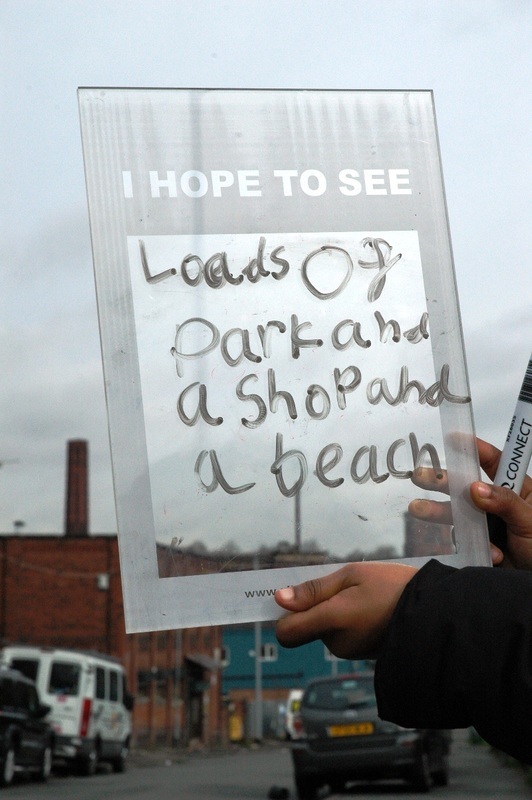 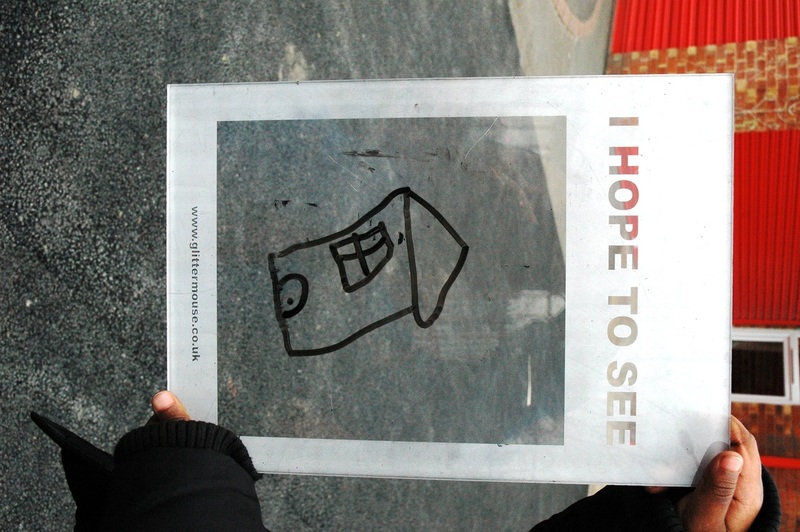 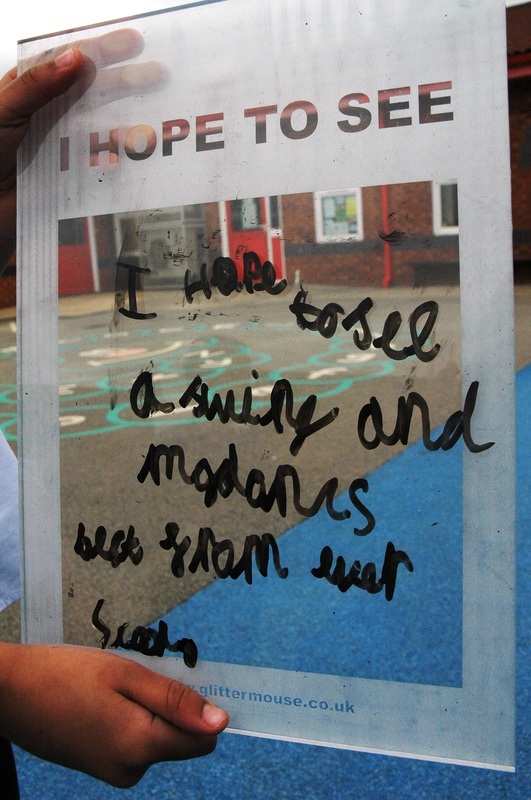 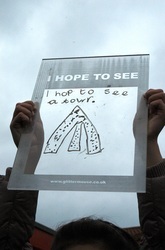 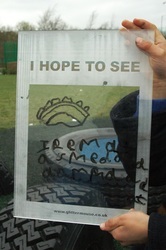 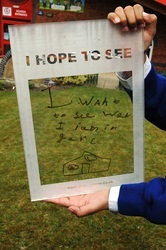 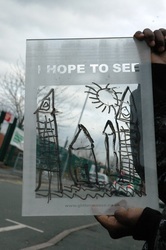 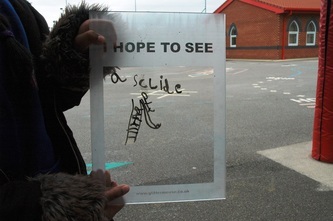 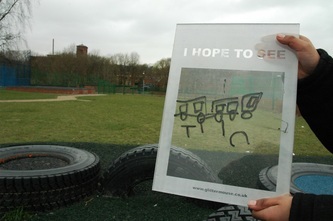 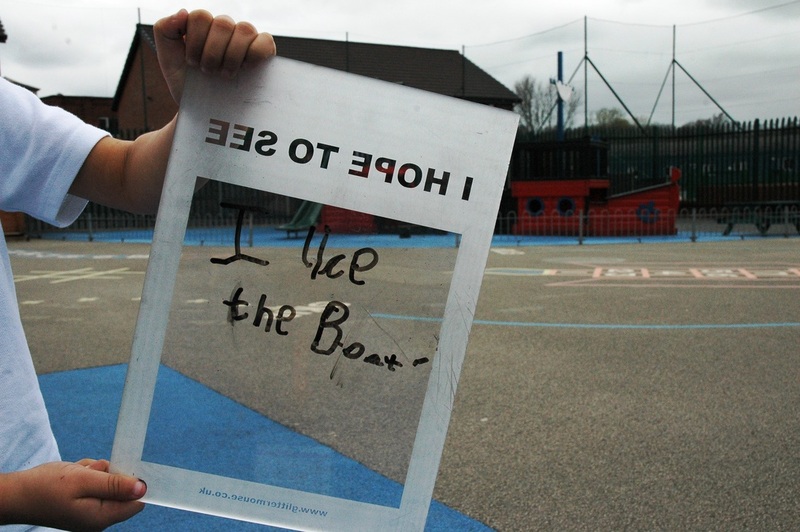 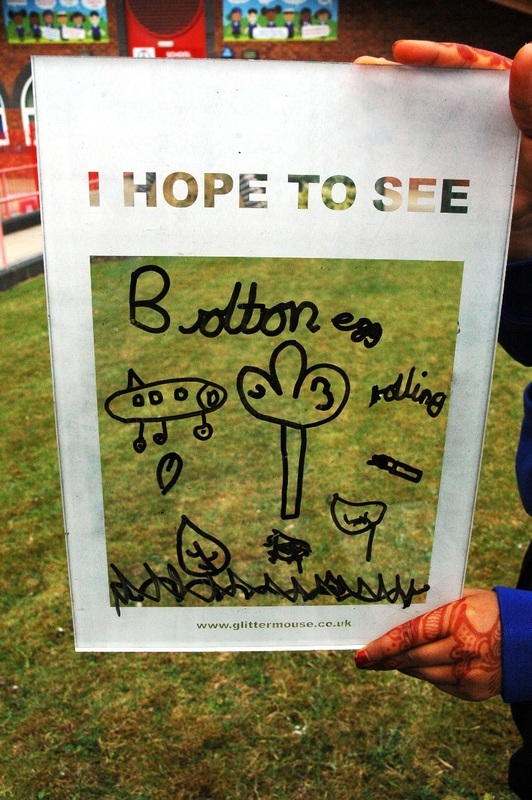 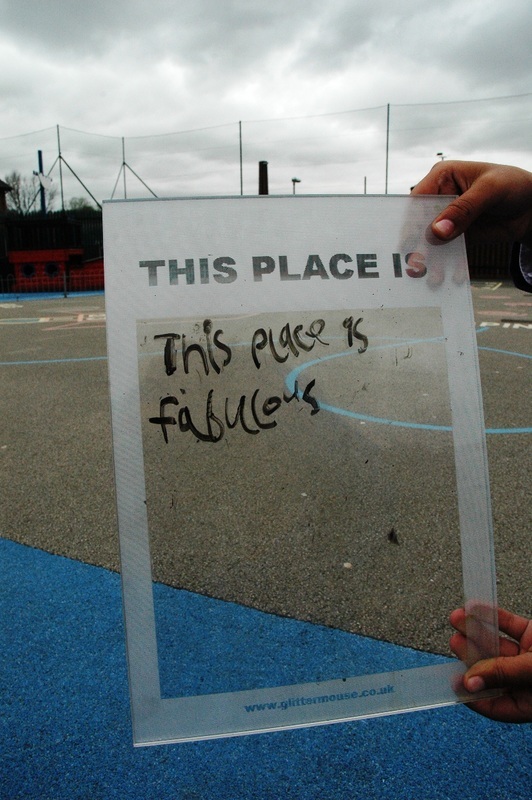 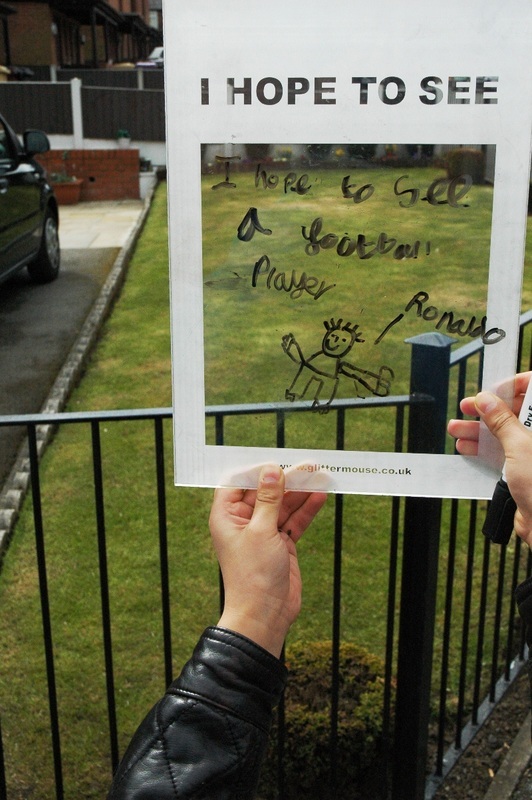 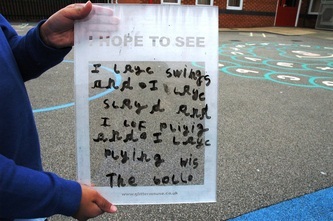 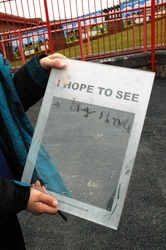 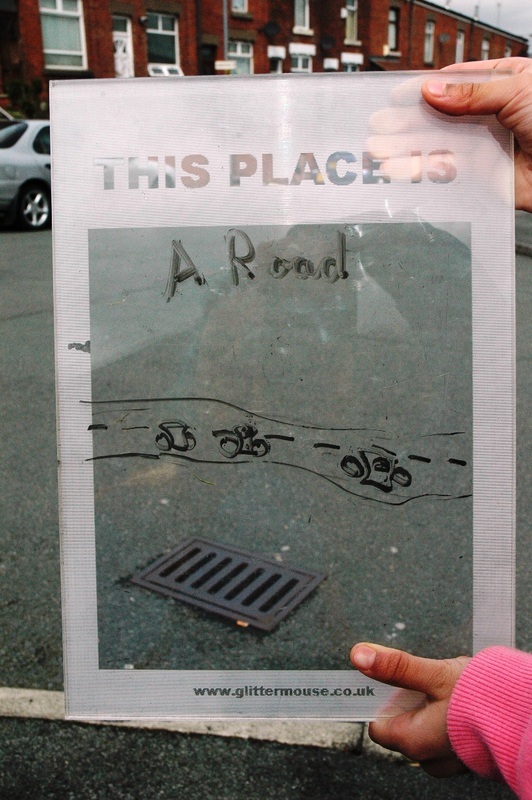 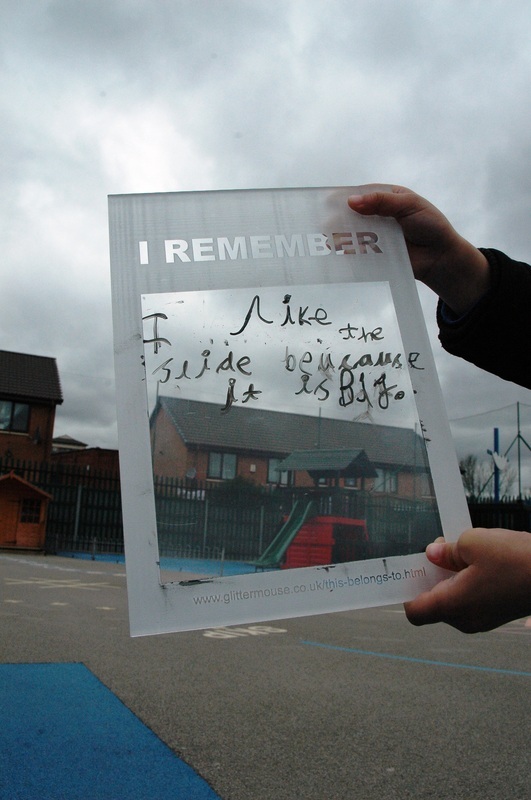 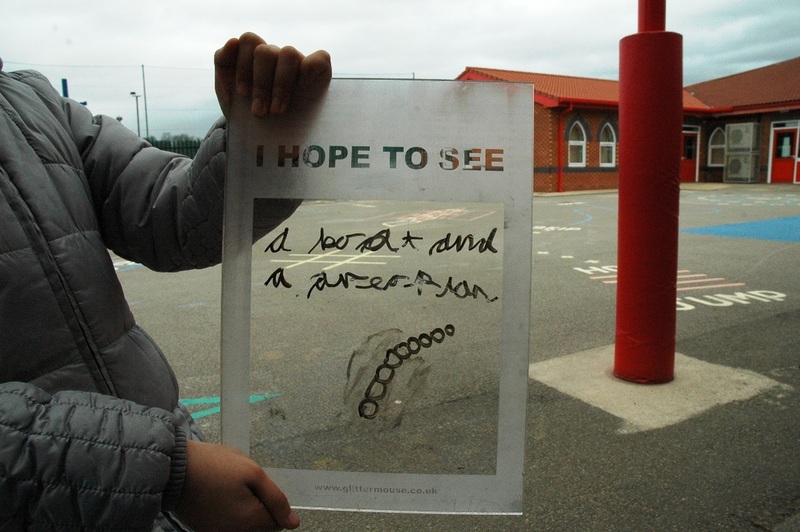 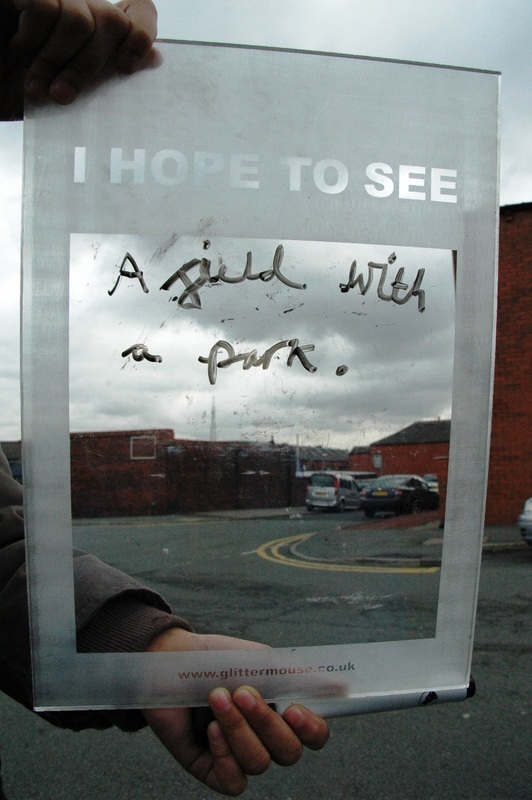 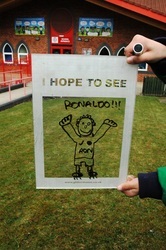 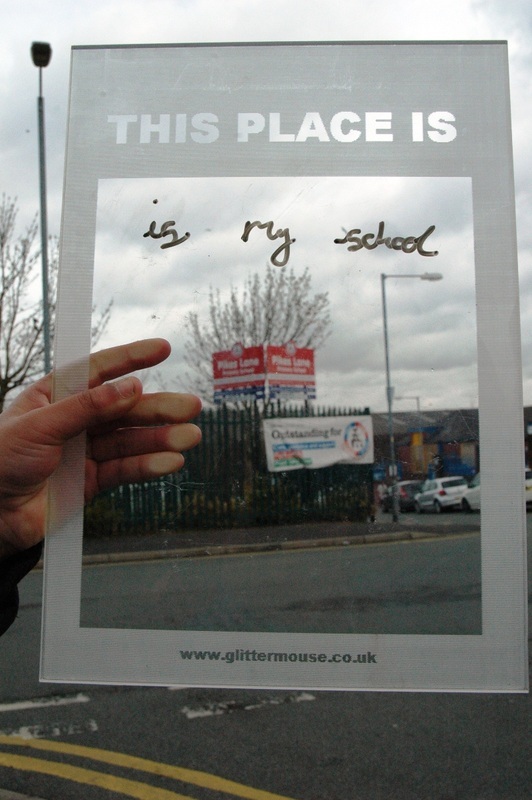 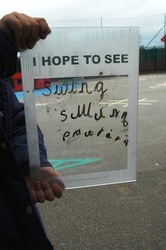 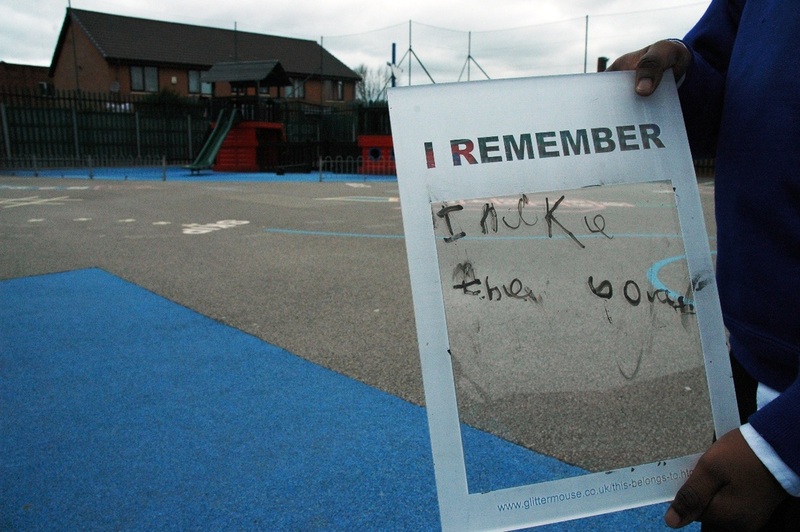 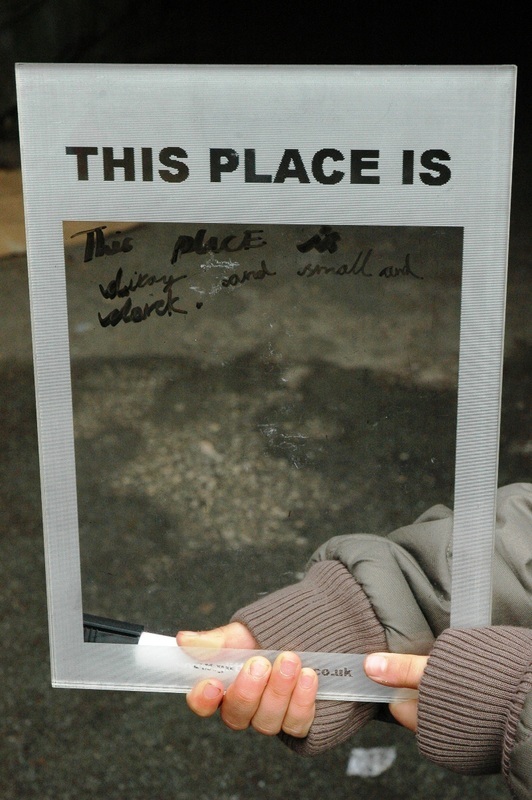 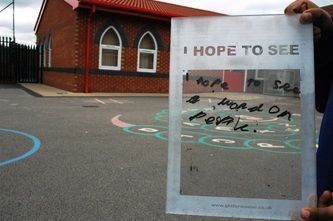 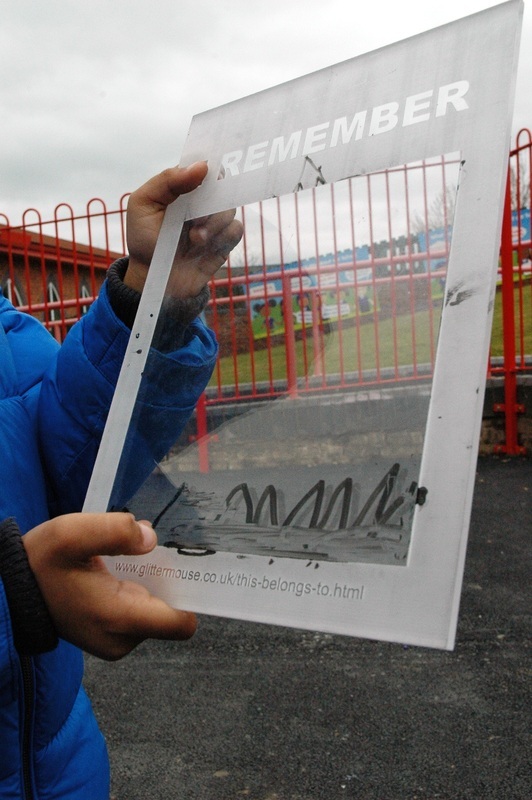 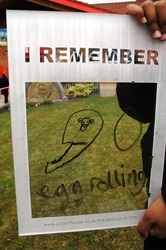 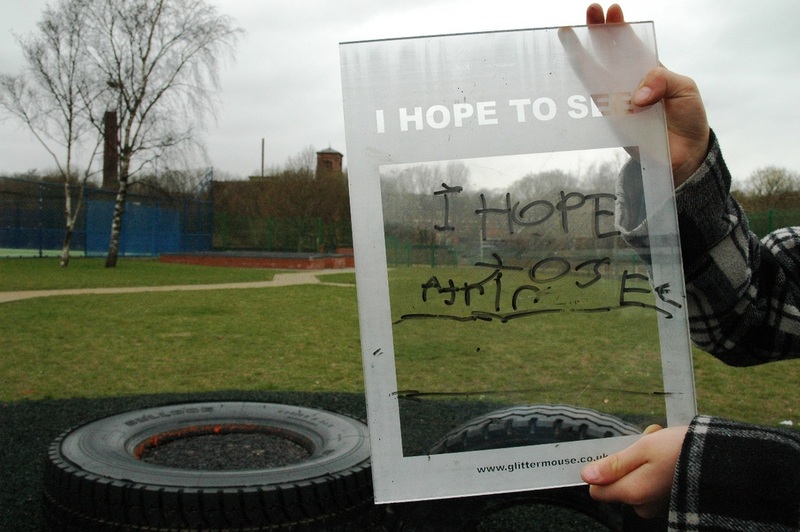 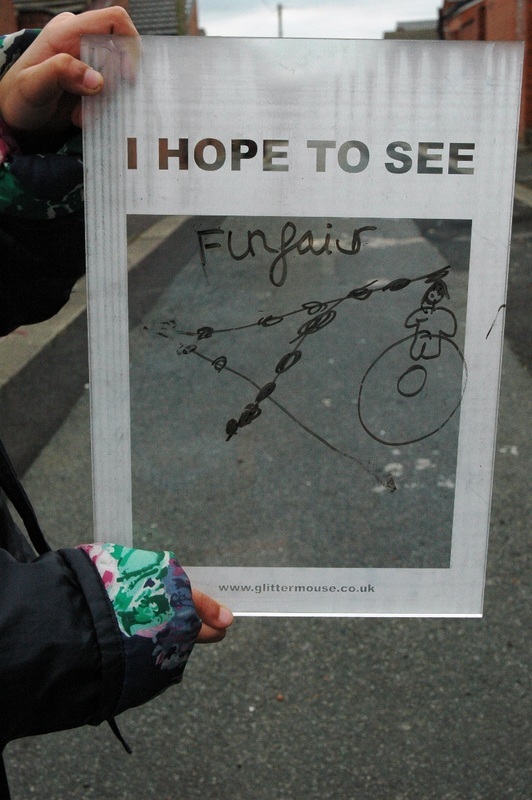 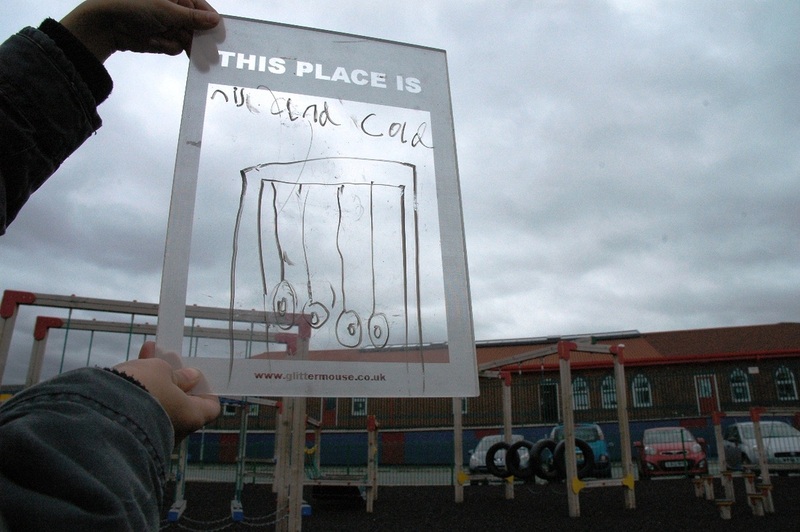 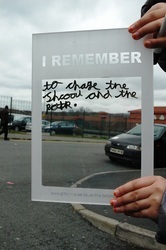 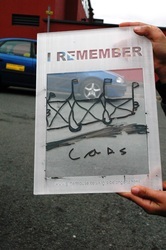 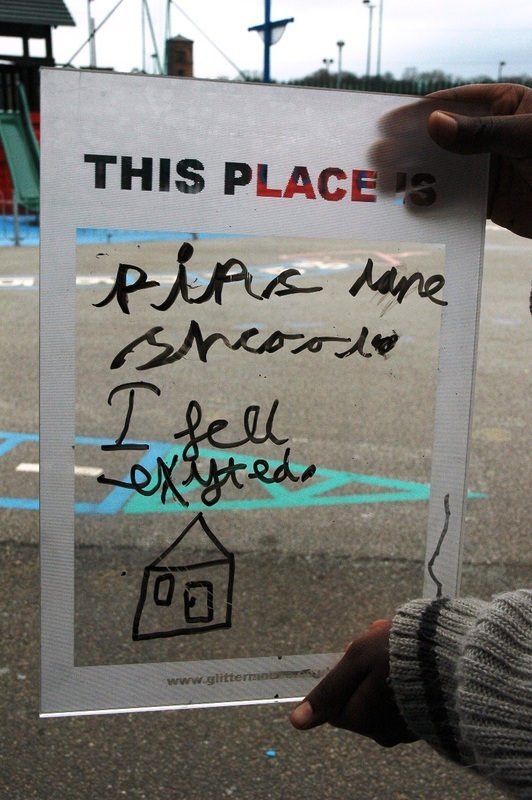 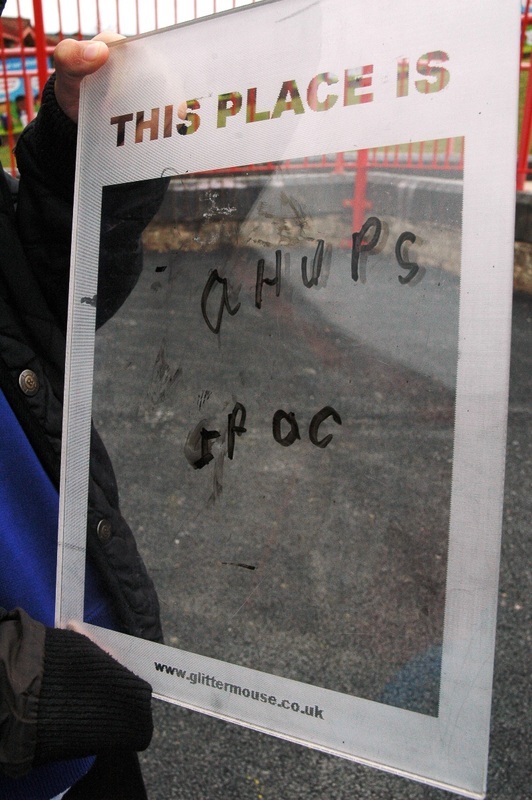 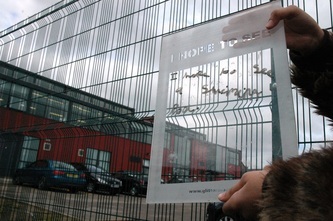 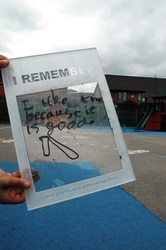 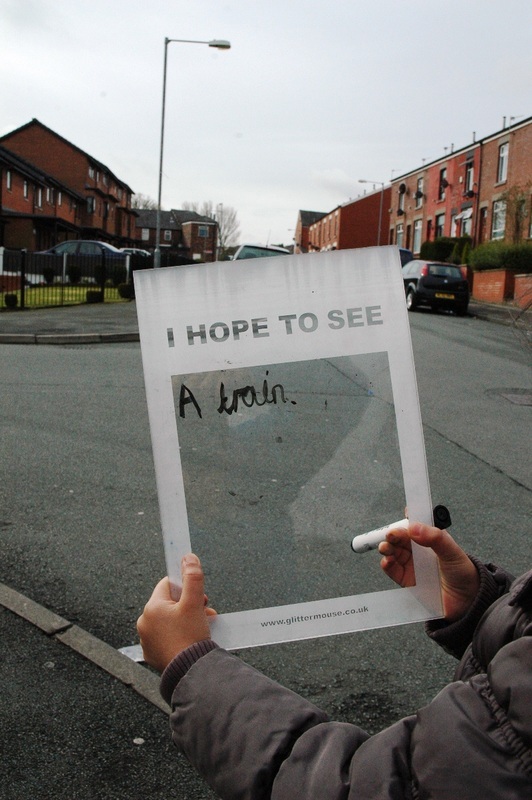 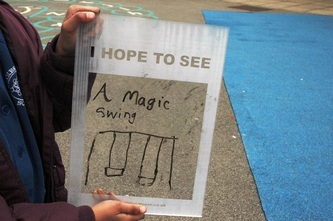 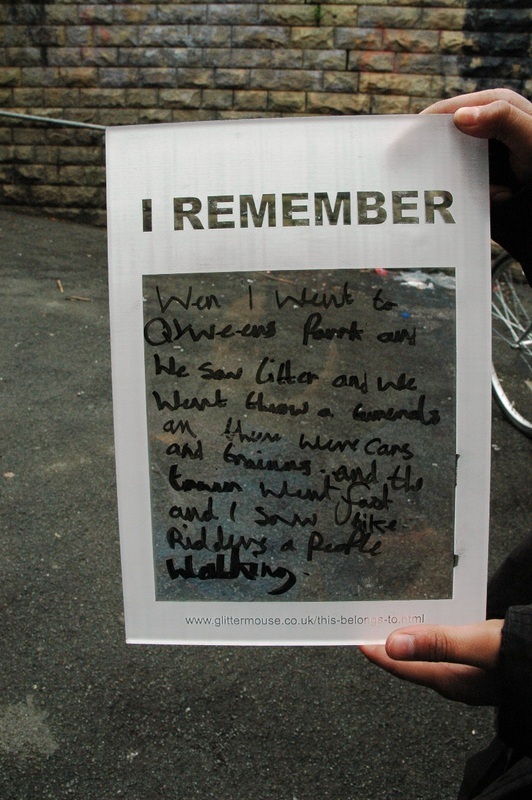 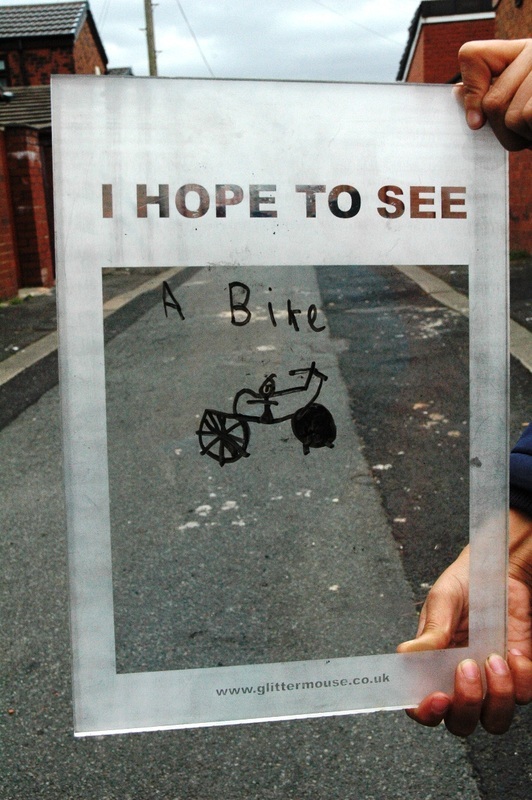 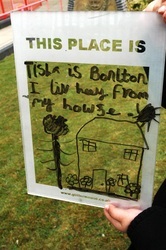 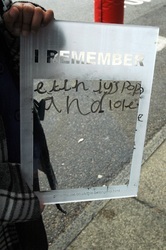 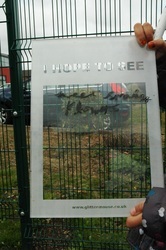 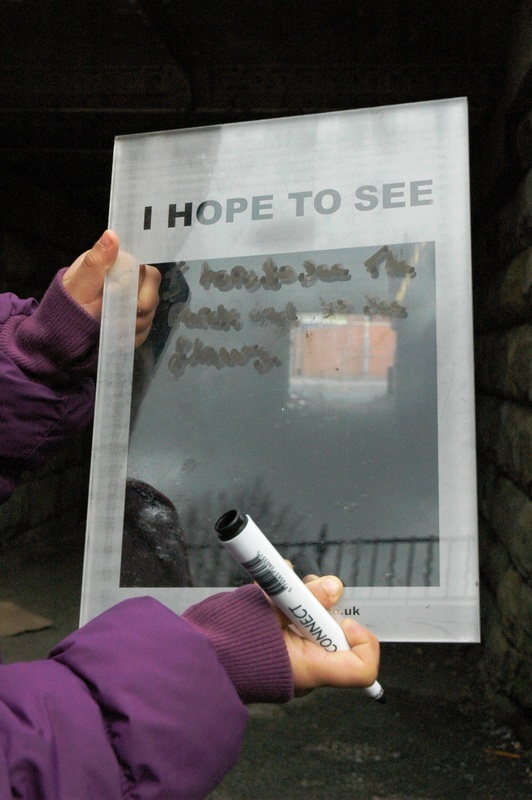 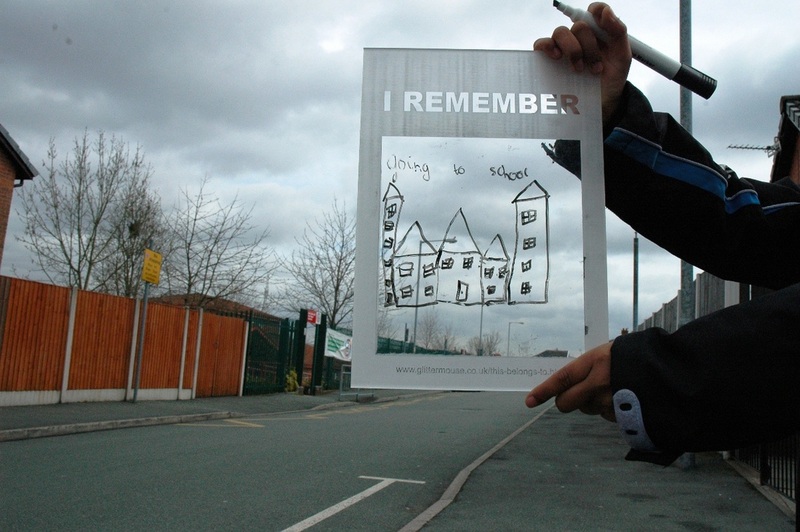 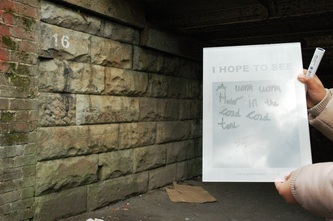 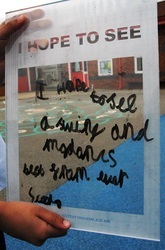 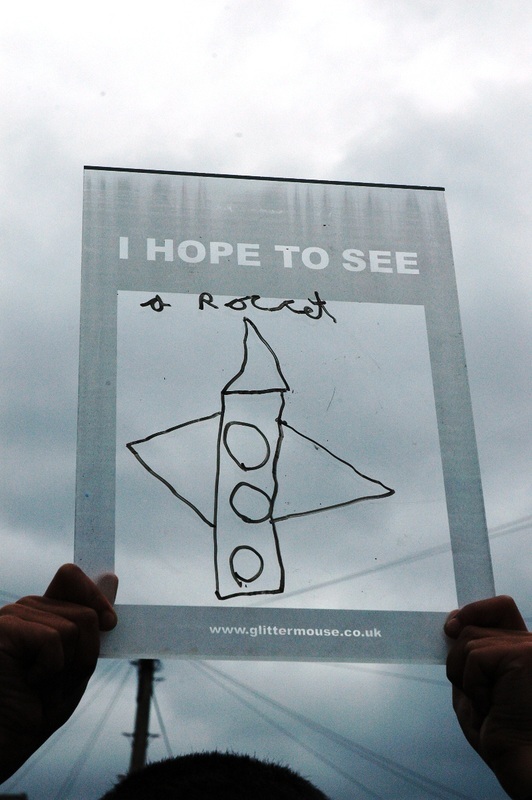 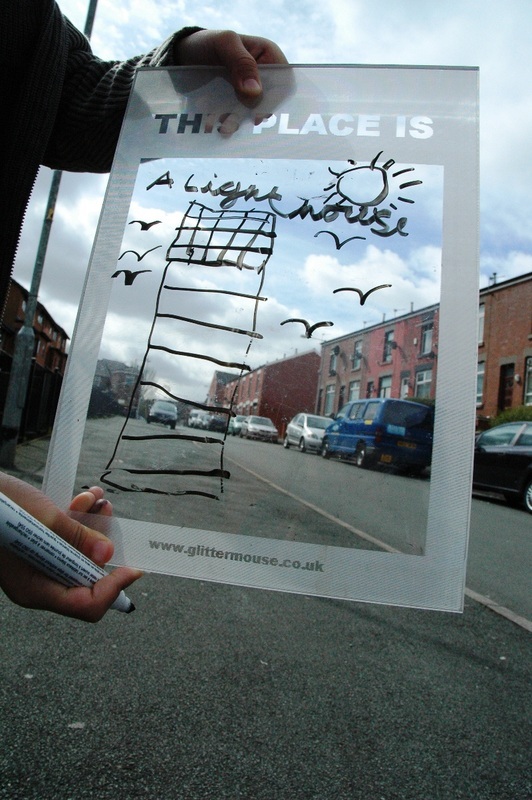 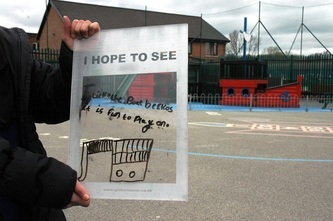 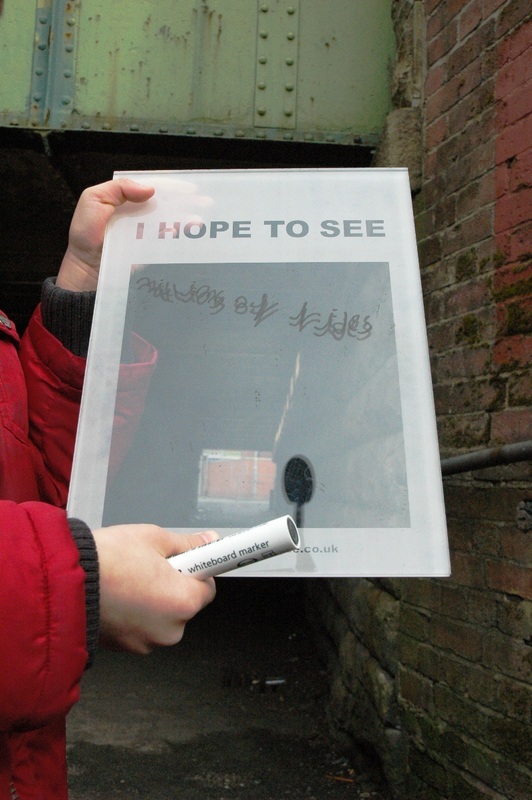 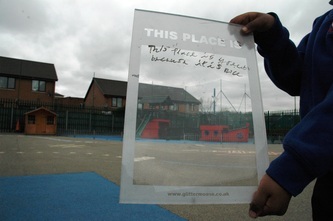 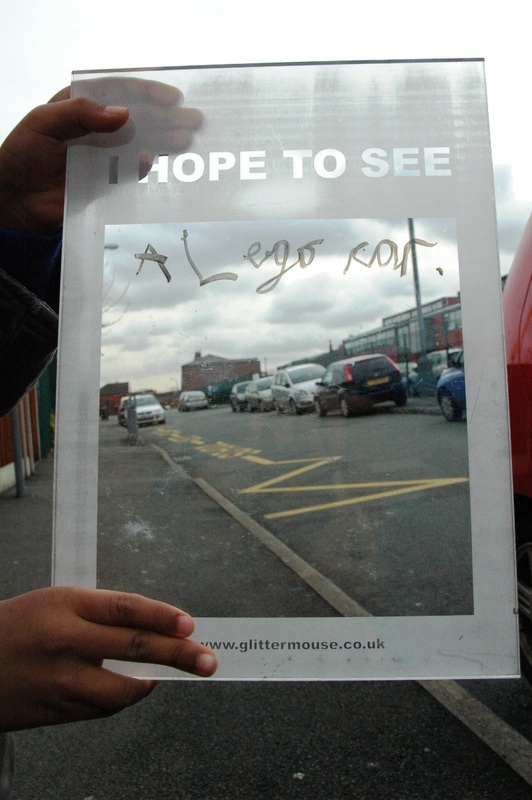 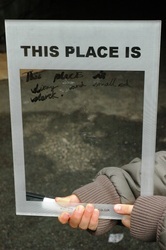 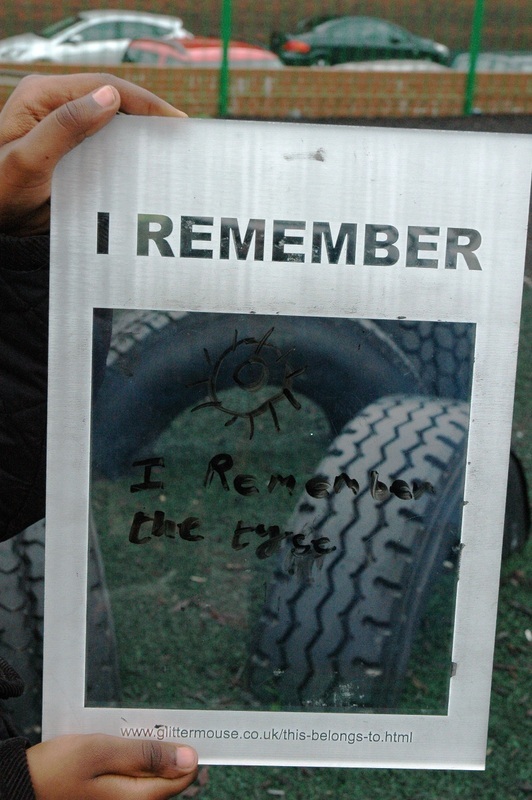 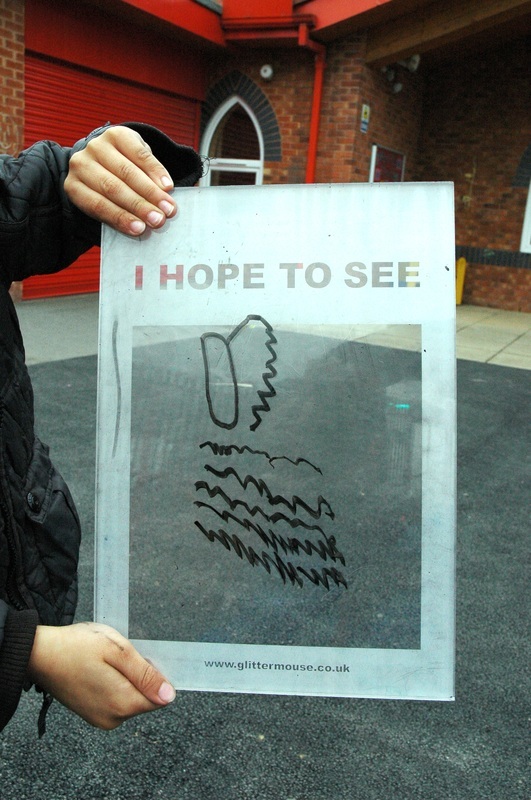 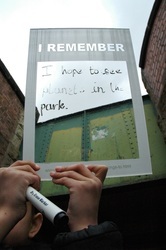 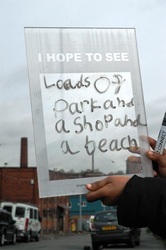 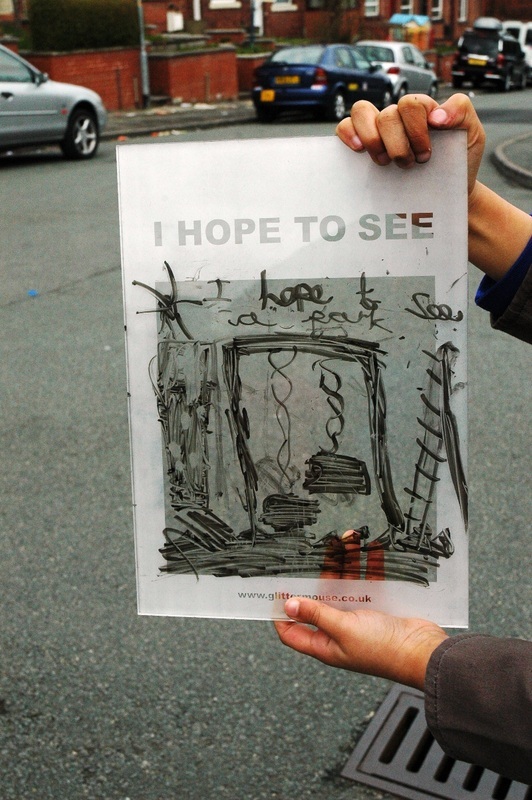 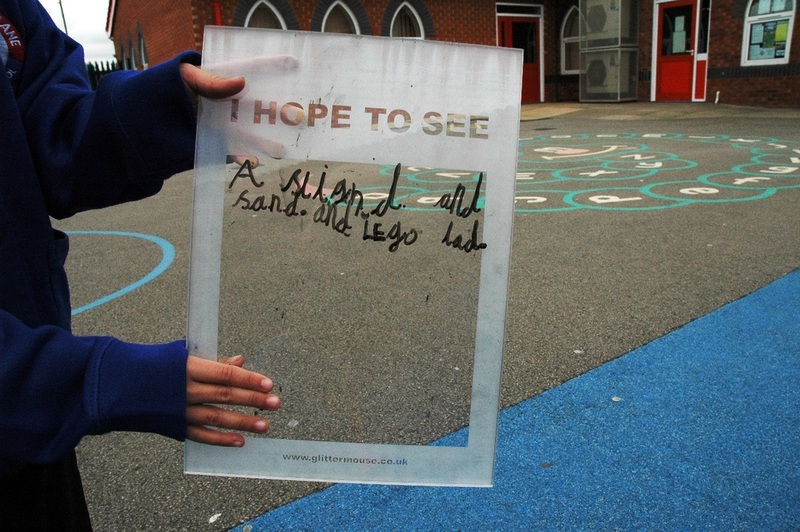 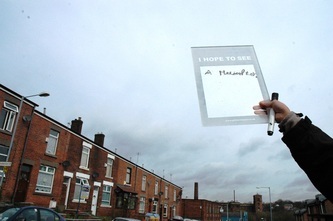 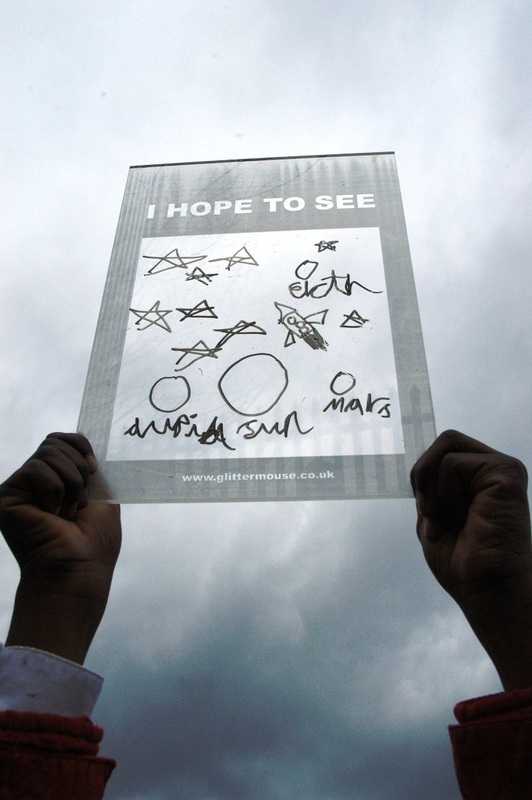 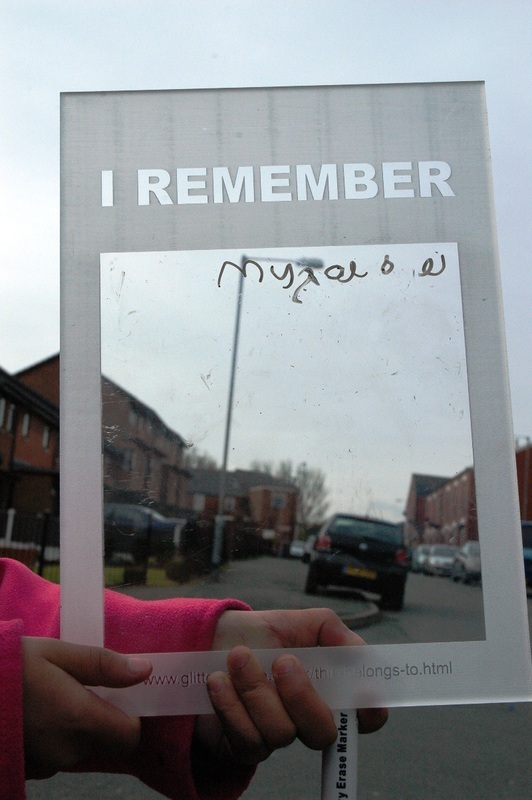 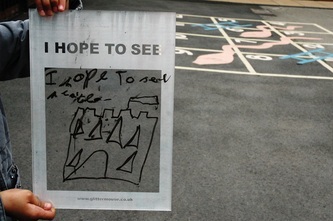 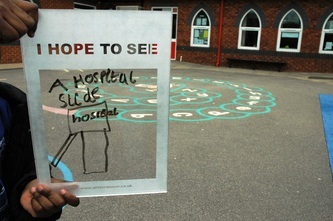 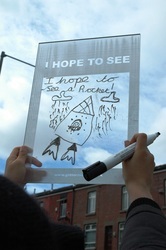 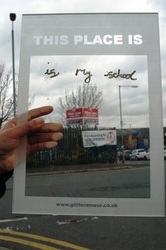 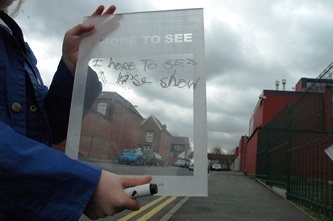 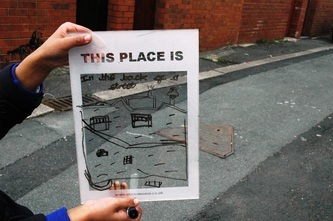 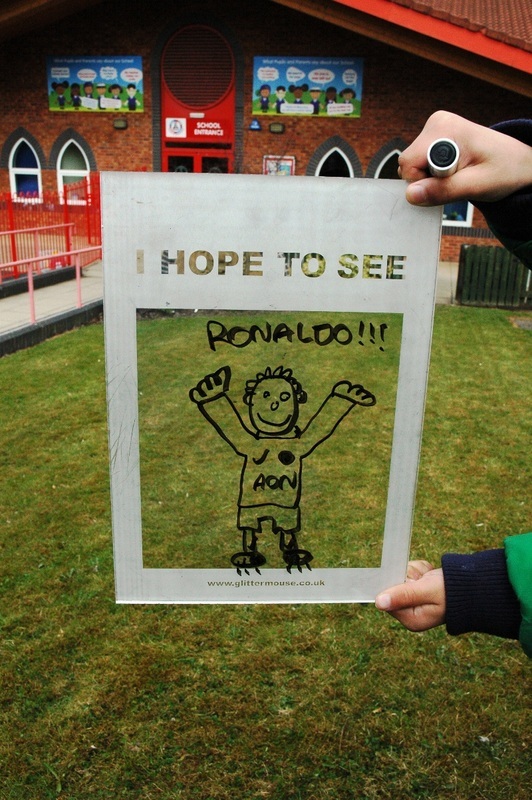 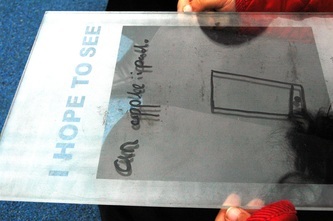 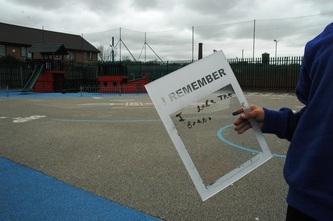 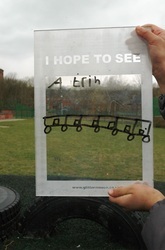 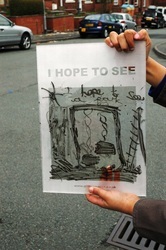 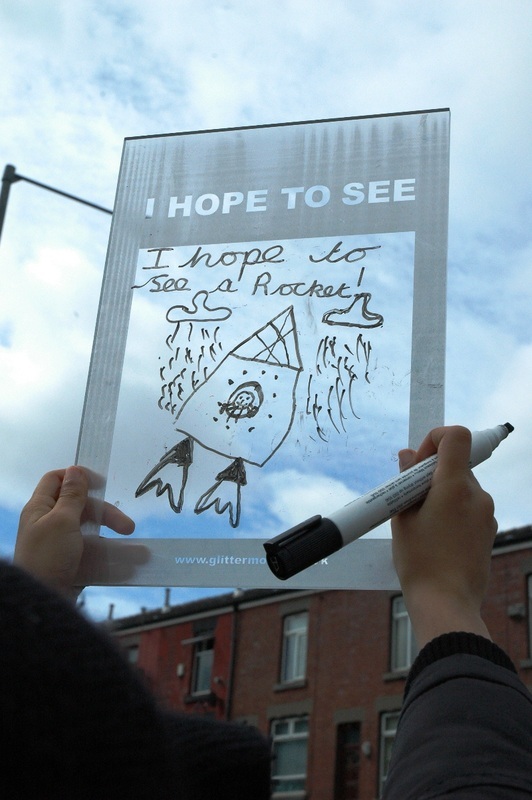 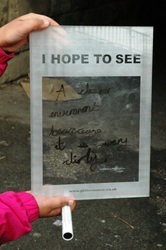 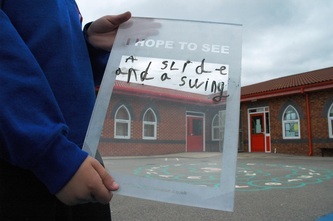 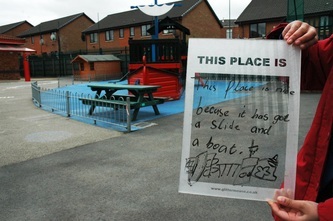 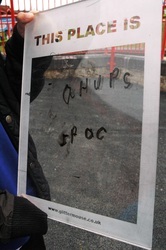 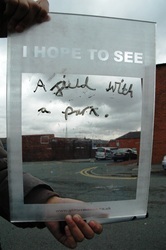 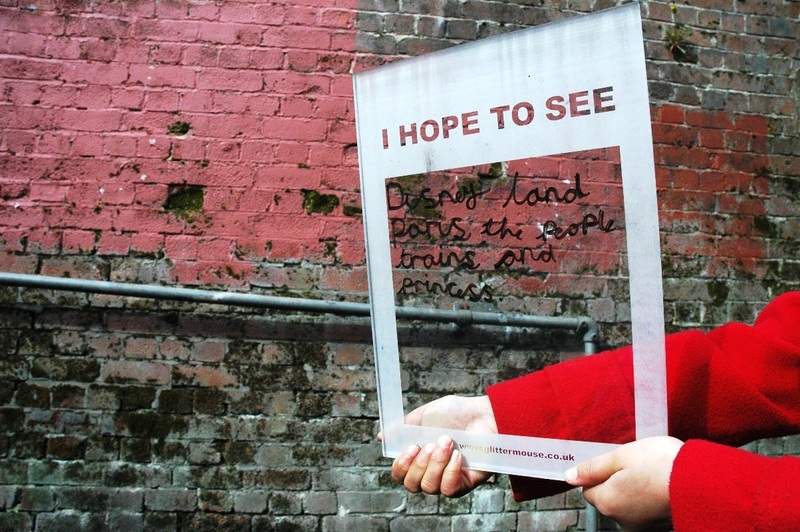 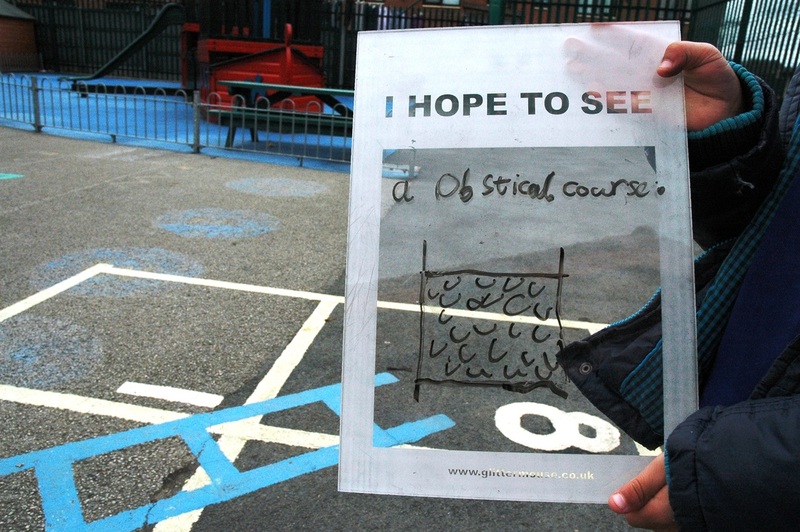 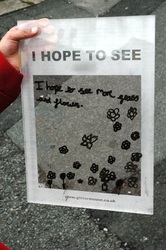 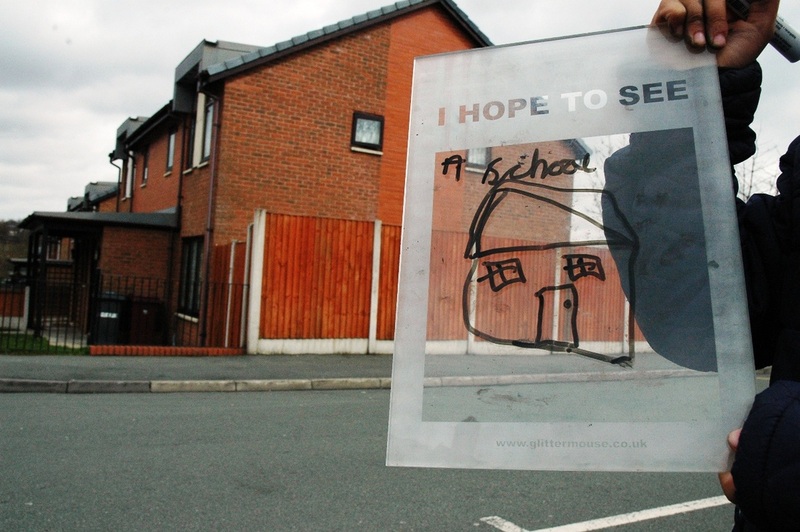 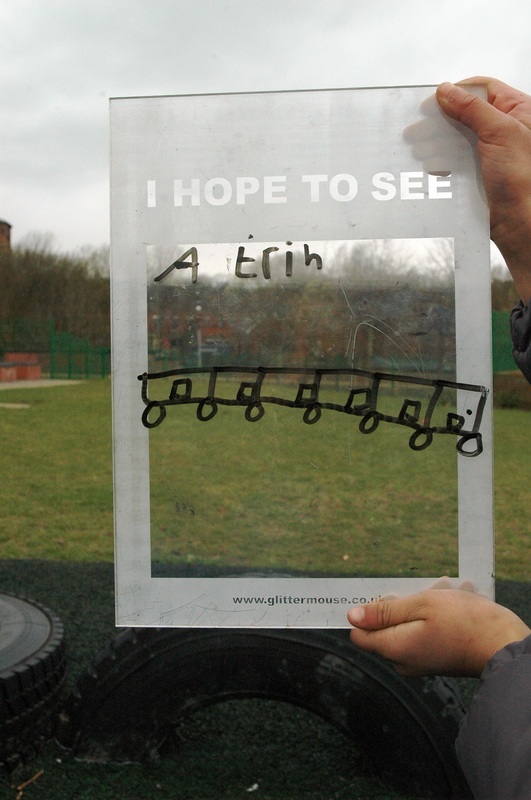 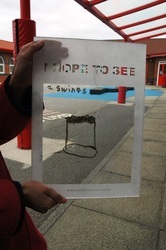 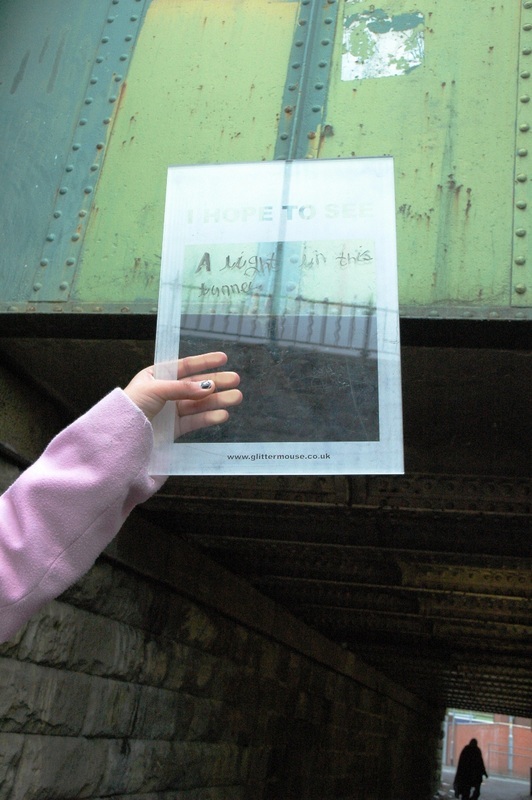 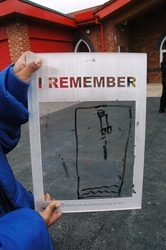 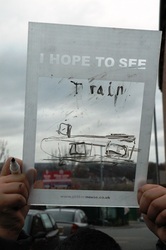 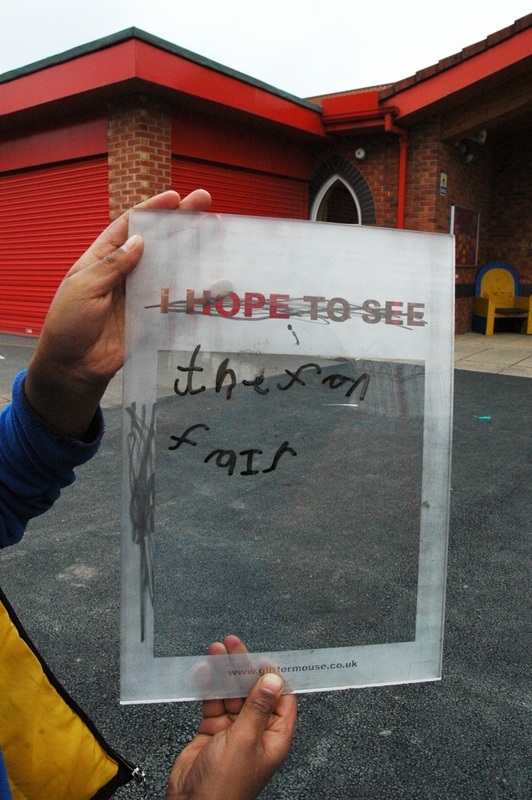 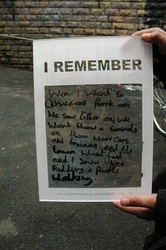 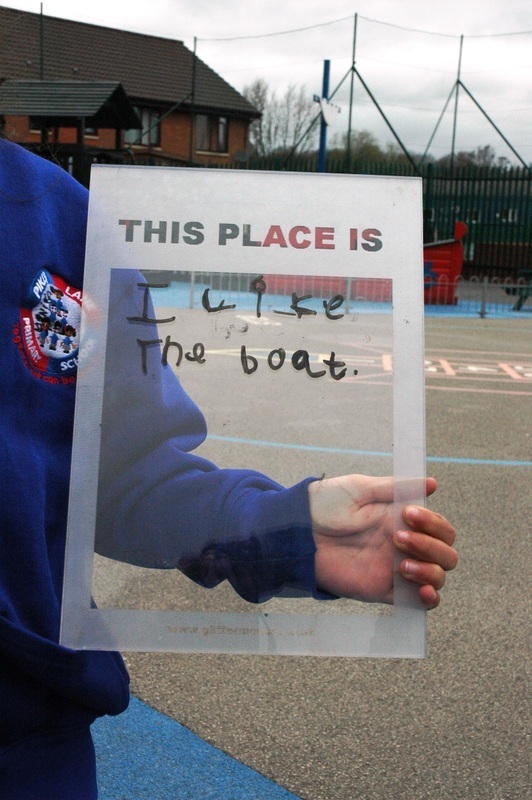 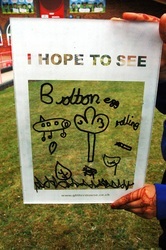 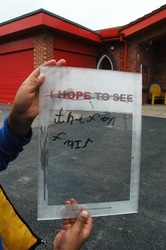 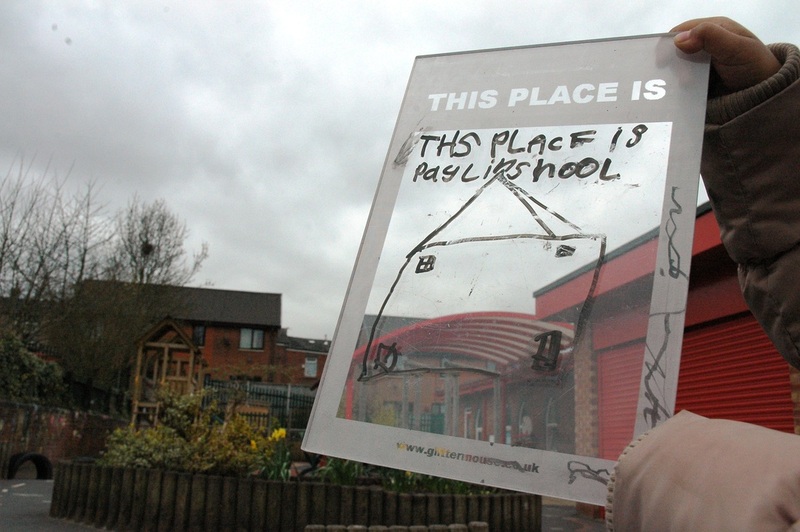 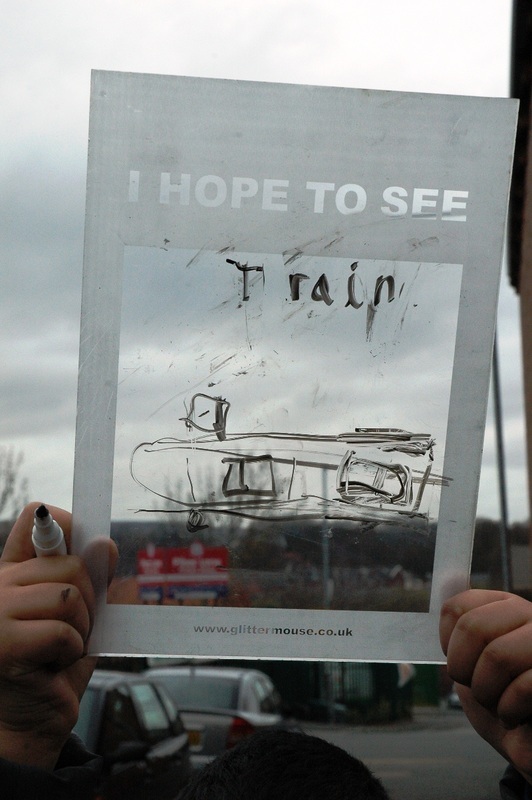 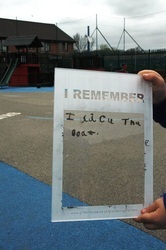 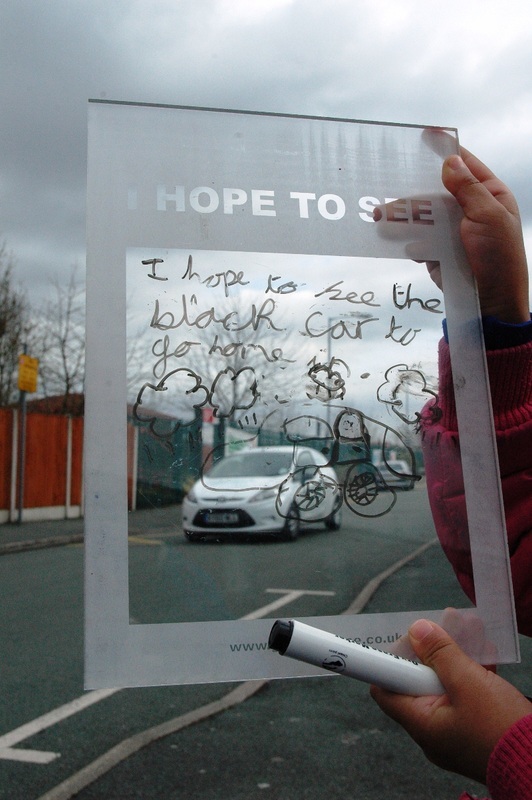 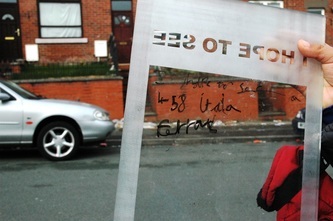 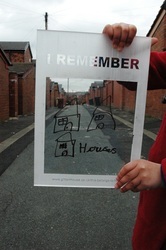 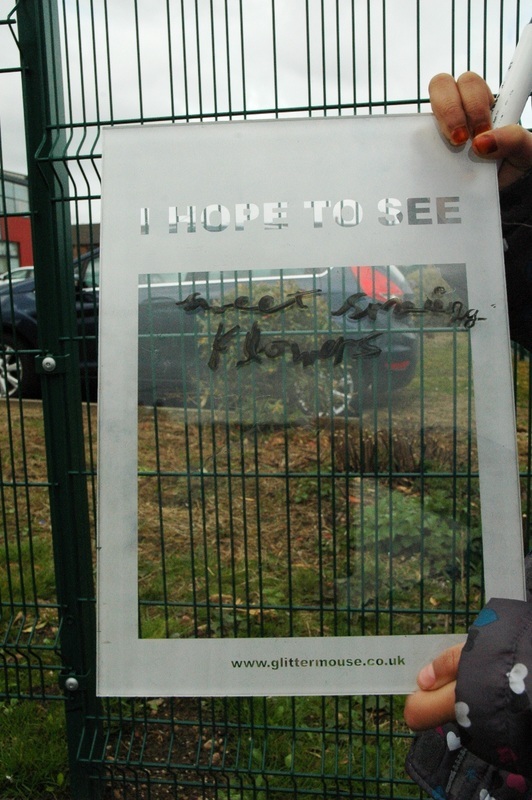 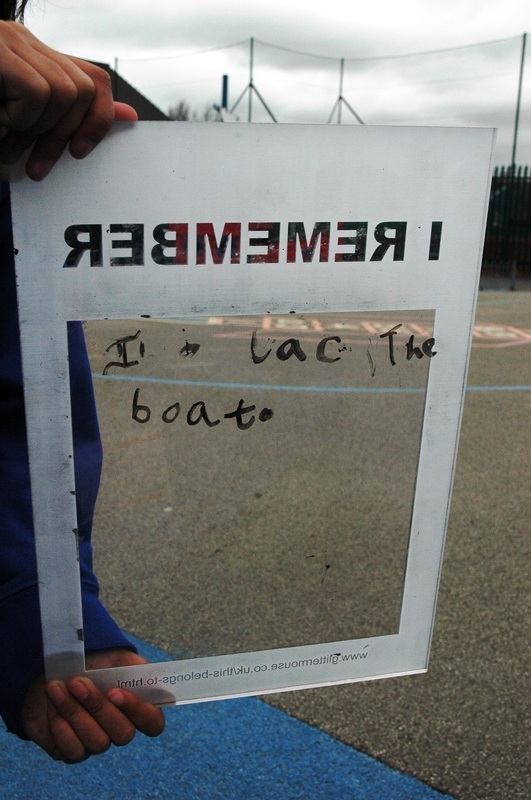 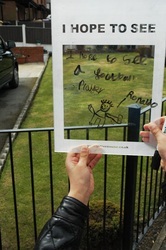 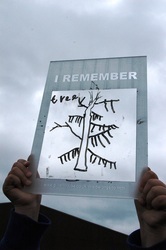 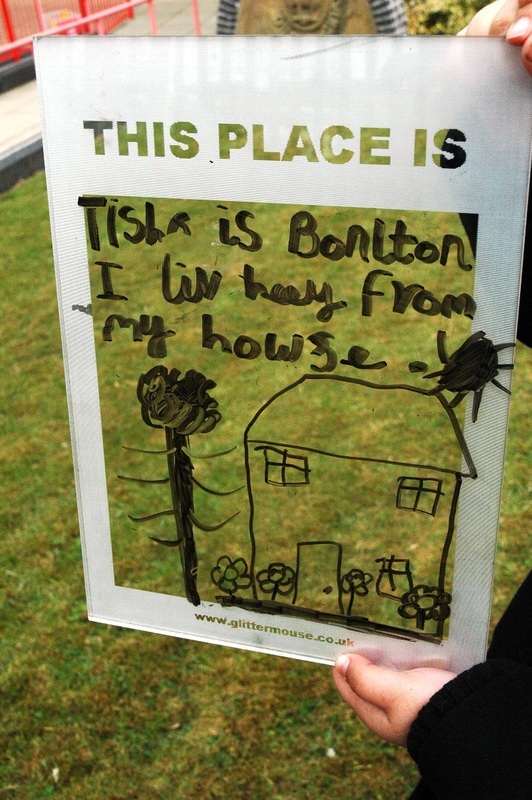 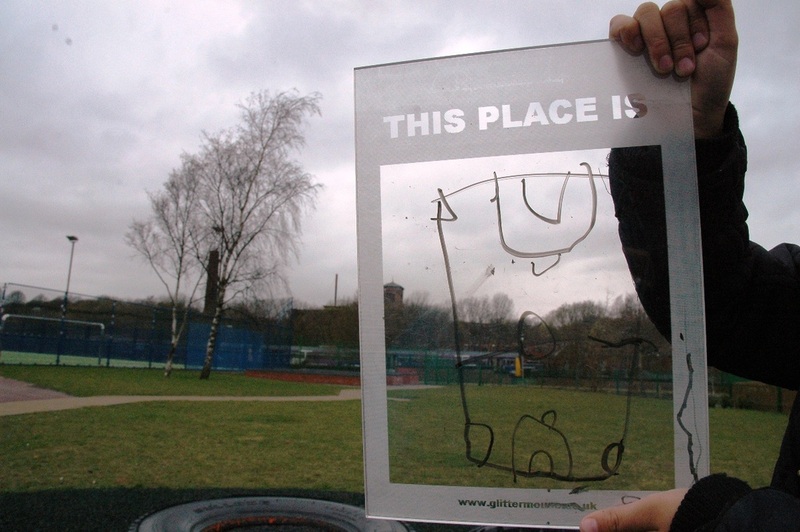 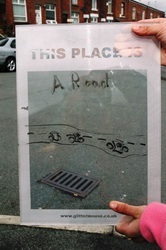 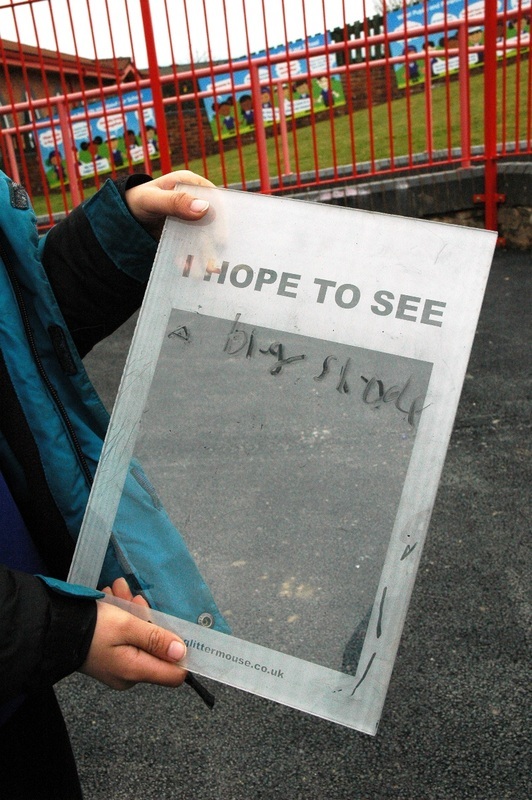 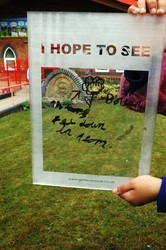 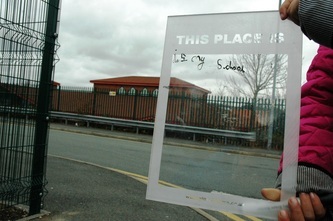 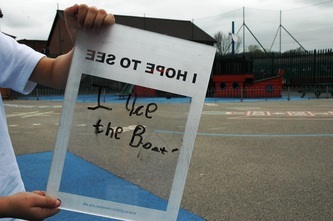 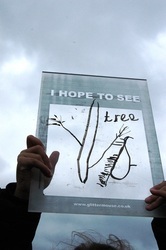 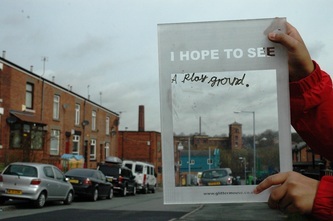 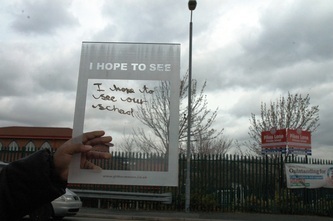 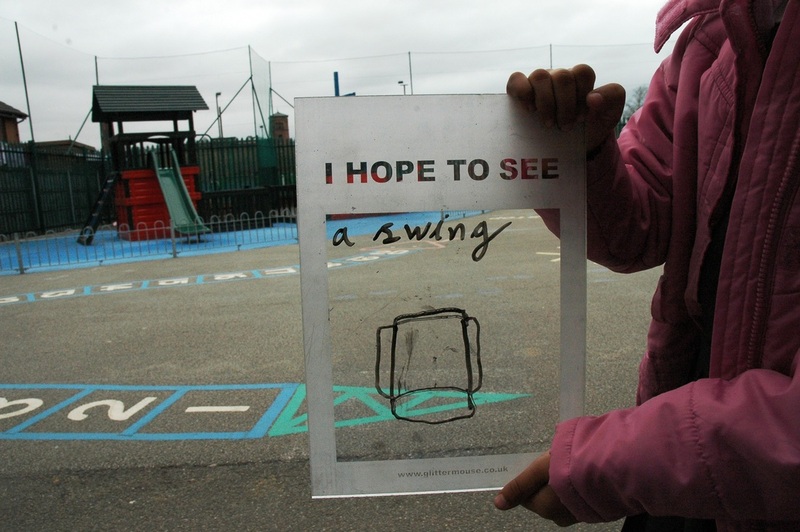 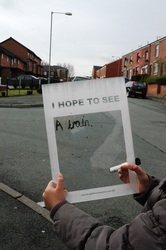 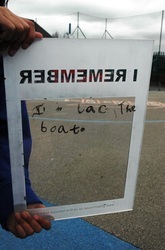 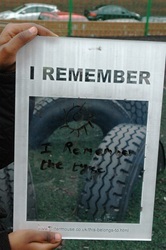 On the 22nd of April 2013, Year One and Two Pupils at Pikes Lane Primary School in Bolton participated in the PlaceMaking Workshops at the start of their Arts Week. 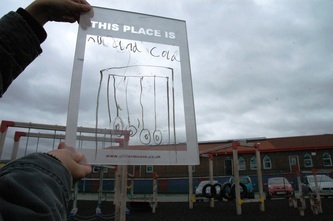 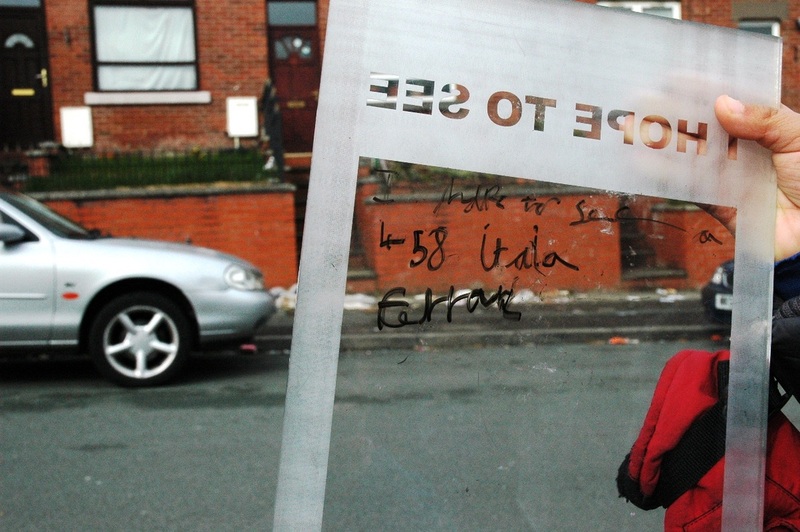 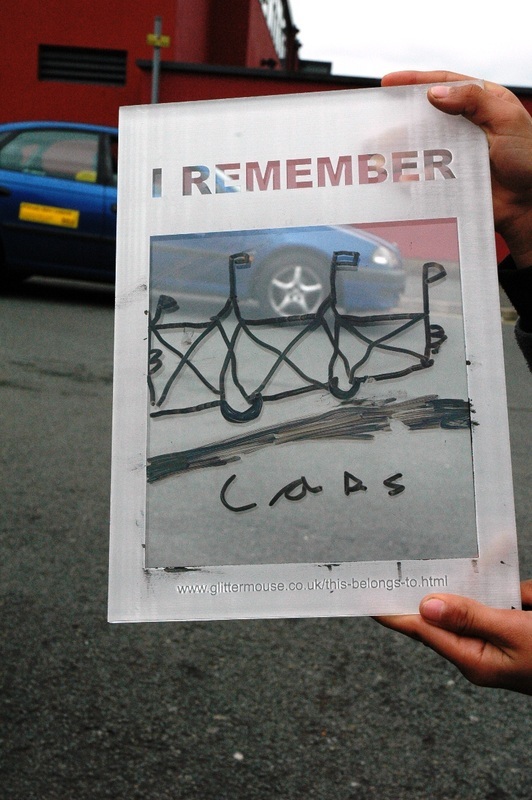 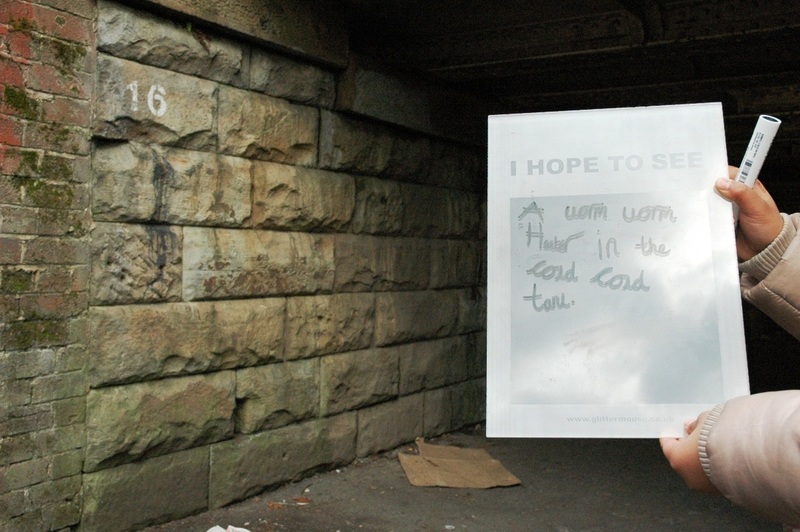 The children will be producing artworks that respond to the theme of ‘Environment’ and so the workshop was an exciting way of initially exploring and responding to that of their school and the area in the streets around it. 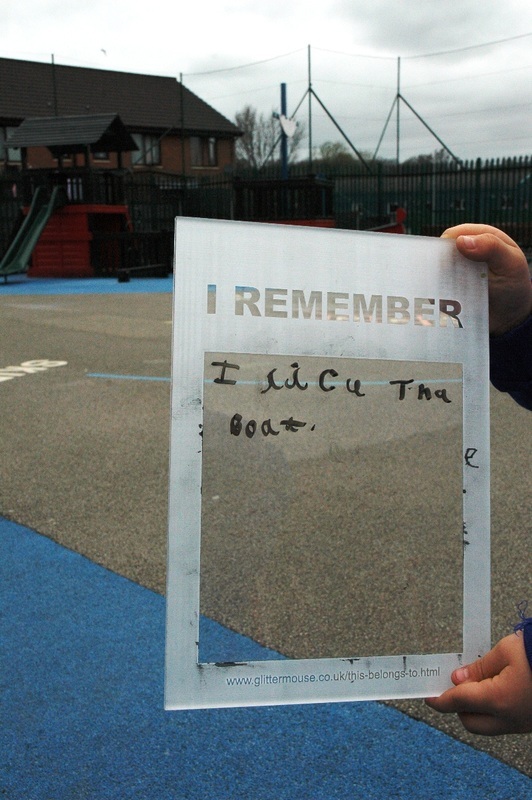 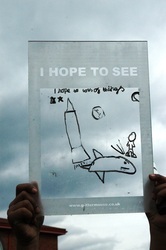 The children were encouraged to consider their memories, current experiences and hopes for the future of their immediate environments. 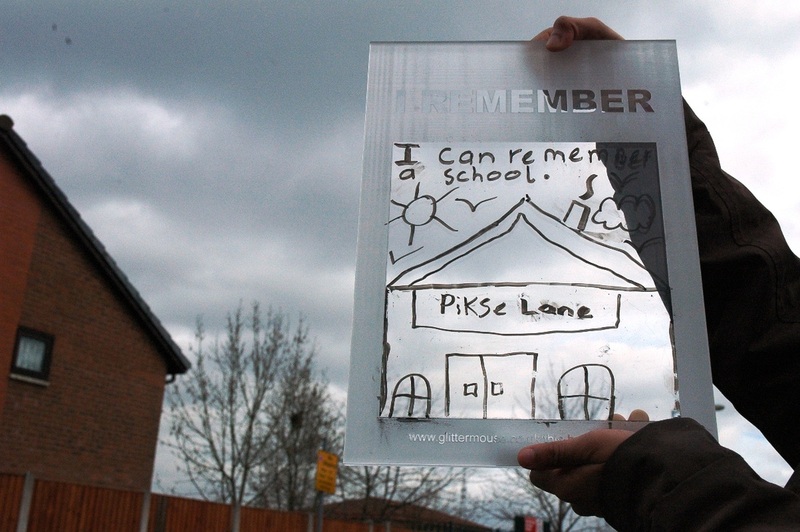 Pikes Lane has a very broad cohort and pupils from different cultural backgrounds work happily alongside each other while children with Special Educational Needs are also included in mainstream groups. This diversity is promoted readily by the school and is reflected in the variety of responses to the workshop.